As you surely know, DSA campaigns have both, their advantages and disadvantages, but also their specifics. 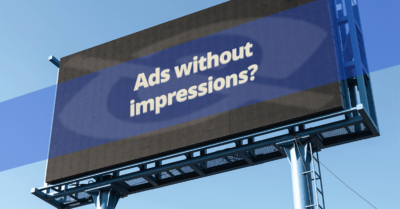 The advantages of DSA show up mainly when you are having quality content on your subpage, based on which Google can decide when to display your ad – that is when Google displays DSA on the most relevant phrases. The advantage of DSA is the possibility of advertising products that cannot be advertised via regular search campaigns, for they do not contain even one eligible keyword. You can find several tips on how to create DSA campaigns via BlueWinston here. 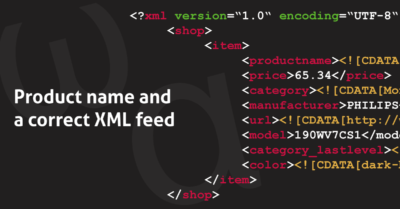 Another advantage is that the length of the title can be wider, sometimes even up to 40 characters. In regular campaigns it is only 30 characters. The disadvantage is that you can only influence the ad description and also you have to watch and clean searched phrases in Google Ads. You can find all available special characters here. 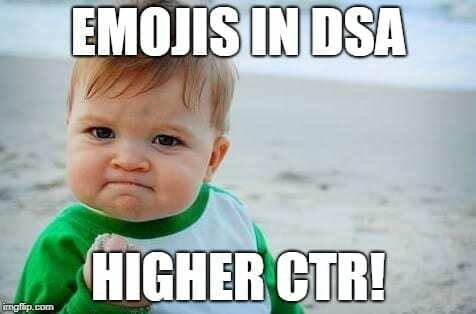 You can use emojis in your DSA. Even in the title! You may insert the emojis in the title of product on eshop and Google will use emojis from there. As we can see, in this case the emoji is in the code, but at the same time emoji is not visible in prices´ comparator. Result? 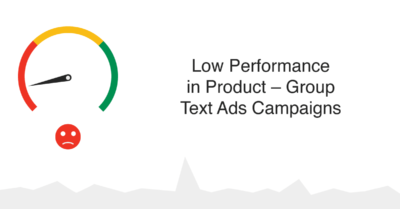 Ads with special characters increase ad CTR. 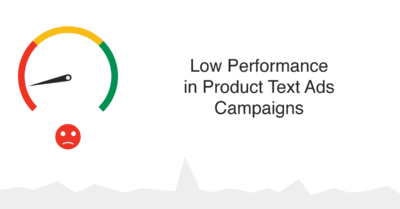 In case of regular product campaigns, special characters are not only increasing CTR, but also quality score of keywords, and increase CPC.